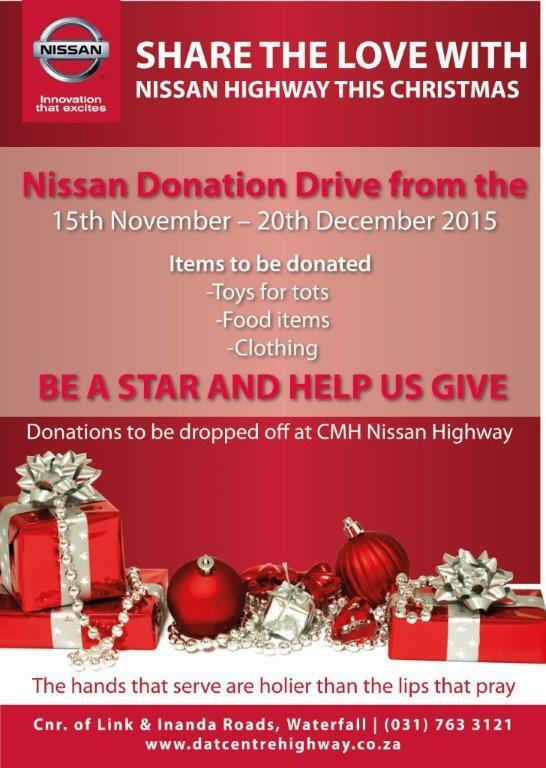 The 2015 festive season is upon us and this year CMH Nissan Highway wants to give back. We love giving and helping out and this year is no different, so between the frenzy of shopping and preparing for family visits why not partner with us this festive season to make a difference in the lives of those less fortunate and help us to put smiles on many faces this year? We are looking for food, clothing and toys for tots to be donated at our dealership at Cnr Link & Inanda Road, Waterfall.